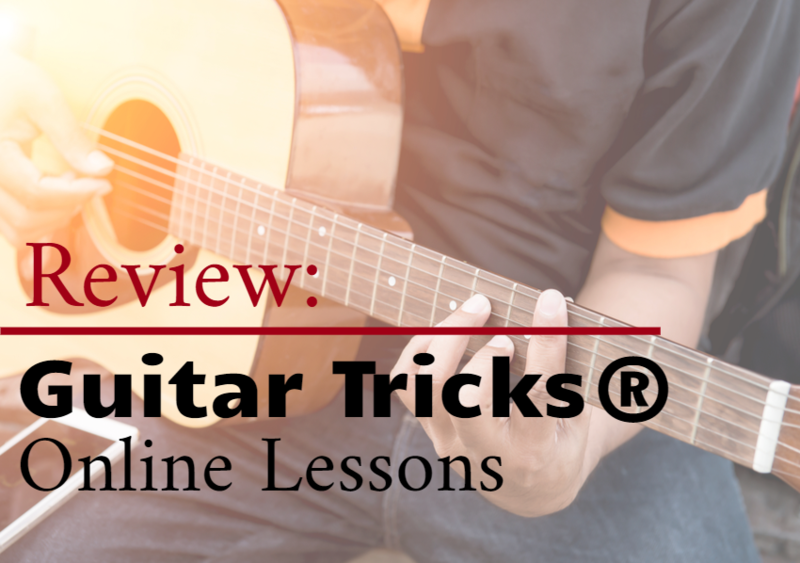 Here’s our take on Guitar Tricks’ online guitar lessons. We purchased and reviewed their courses so you can get an in-depth outline of their offerings. Guitar Tricks® has been around since 1998, and it has the distinction of being the first site ever to offer guitar lessons online. With a vast library that includes thousands of lessons and well over 700 songs, it’s one of the biggest music instruction sites around. It’s also one of the most popular places to learn guitar online. Like most other sites offering online guitar lessons, Guitar Tricks® supports itself and pays its instructors by charging a modest subscription fee, which amounts to about the cost of a single private guitar lesson per month. A free trial period lets users determine whether they’re getting their money’s worth before actually investing. We signed up and played along to see what kind of content the site has to offer, and to determine whether the average guitar student would find the lessons worth the money. There are more than 40 instructors to choose from. Many have backgrounds with well-known bands, and most have written and/or recorded their own music. Instructor bios provide some insight: For example, Doug Fearman has been teaching privately for 20 years, and has written Blues and Country Rock instructional books. Ralph Spight specializes in Punk, and tours with Jello Biafra. Lawrence Katz of the Mighty Mighty Bosstones offers a number of tutorials, and Sharon Aguilar, who you may recognize as guitarist for Cee Lo Green provides several lessons as well. All Guitar Tricks® instructors are experts in at least one genre, and all present their lessons in a friendly, approachable way. There are different types of lessons on Guitar Tricks®. Many are part of the Core™ Learning System, which offers a clear, step-by-step approach that’s very easy to follow, even for complete beginners. Some of the lessons focus on techniques. Many others focus on popular songs, which are taught one note at a time, with chord charts for each note displayed on the screen, plus some useful tips for easier chord progression and better playing. You can pause the lessons to work on your technique until you’re ready to go on to the next note, or you can keep the loop going and repeat sections until you’re ready to move on. Many lessons come with individual segments, all neatly arranged in a table of contents. This lets you skip to the section you’re working on instead of searching through content you’ve already learned. Song lyrics are broken down into verses and choruses, making for easier memorization. Band-backed play-along videos accompany each song, so you can work on playing with others and really master the music once you’ve gotten the basics down. You can download lessons to your device if you like, and you can also print notation for songs. You might like what you find at Guitar Tricks®. It’s true that the site’s learning system is set up so that complete beginners start with “guitar fundamentals,” which covers absolute basics like how to hold a guitar the right way. 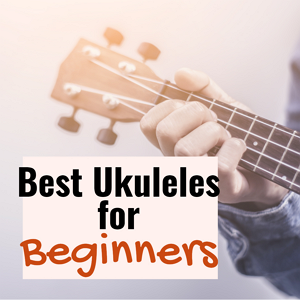 You can skip these if you don’t need them, and go on to learn different styles. Each basic style has two levels, so if for example you’ve already got some knowledge about how to play rock guitar, you can go on to level two. You can also learn different styles to round out your playing, plus you can go into specific song lessons. This site really does have something for everyone, including advanced players who want to improve their skills. Several instructors offer artist studies in which students can learn specific techniques used by top guitarists such as Jack Johnson, Brian May, B.B. King, Dave Murray, Eddie Van Halen, and Eric Clapton, for example. If you’d like to pick up new techniques to make your playing even better, Guitar Tricks® has you covered. The Core™ Learning System covers rock, blues, and country. Once you get into individual lessons, you can learn just about any style imaginable. It’s up to you to practice as much or as little as you prefer. The site recommends that students spend at least 10 minutes per day practicing, particularly in the beginning. Of course, you can practice more and learn faster if you feel like it! There is no limit to how much content you can access per day or per session. Once you’ve signed up as a full access member, you can go anywhere on the site and learn anything you feel like. If you find that you dislike a certain genre or instructor, you can pick a different way to learn. The Guitar Tricks® site is well-planned, and it’s clear that the company spends plenty of time ensuring that its content is properly updated and upgraded. Videos load quickly, and many come with A/B looping so you can use continuous repeat as you work on a tough technique. We really liked this feature – it prevented the aggravation that comes with having to stop playing and reset a lesson. Many of the instruction videos come with a slow-motion feature, which lets you play along at half the speed. You can take lessons on the device of your choice, either using the website or the iOS or Android app. The apps are free to download, and they come with a few free lessons to help you determine whether you like the format. Paid members have access to all Guitar Tricks® content via the apps. Navigation is simple and straightforward, and the videos work just as well as they do on the website. If you like, you can get a taste of Guitar Tricks® offerings via social media – whether you’re a member or not. The company’s Facebook page is a treasure trove of tips, tricks, and insight, and its Twitter feed is pretty impressive, too. What is included with a Guitar Tricks® membership? Guitar Tricks® offers different access levels. Visitors to the site receive basic information about what’s available. There’s quite a bit to see and learn, making it easy to decide whether to register or move on to a different lesson site. It’s free to register as a user. By registering, you receive “limited access to the site’s services.” This includes access to an entertaining, informative blog that’s updated regularly, limited access to the community forum, and limited access to instructors and tutorials. 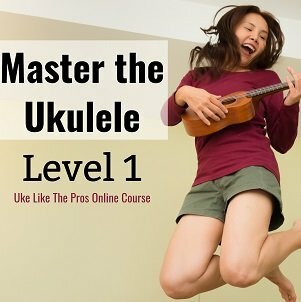 After registering and answering a few questions about your goals, you can become a full subscriber, or you can choose Free Basic Access, which offers a sampling of 24 free guitar lessons and 12 instructors. The Free Basic Access area provides a good feel for the video formats – you can see if they play well on your favorite device, and you can see whether you like the way the lessons are presented. Full access subscribers have full access to just everything on the site including the guitar tuner, more than 10,000 guitar lessons, and content from all 45 instructors. If preferred, subscribers can save quite a bit of money by paying annually instead of paying on a monthly basis. While payments are automatic, cancellation is hassle-free. There is also a full access free trial so you have time to decide whether these online guitar lessons are useful before actually spending money. For those who are ready to take their guitar skills even higher, There are two additional subscription levels, which are available on a case-by-case basis as instructors and coaches have room for new students. Full Access Plus provides users with access to small group live lessons three times per week, plus a dedicated guitar coach who checks in and provides customized lesson plans. The Full Access Pro level includes personal one-on-one live lessons with a coach, who provides feedback like any other guitar instructor. This plan can be booked one session at a time, or on a weekly basis. We looked high and low for a reason to dislike Guitar Tricks®, but it was tough to find anything that was truly worth complaining about. The site offers excellent quality while providing something for players of all ages and skill levels. Our only point of criticism is that you might not be able to find certain songs here, which is a shame since some other lesson sites do have larger song libraries. It’s one area where Guitar Tricks® could stand some improvement. On the other hand, there’s no such thing as a site that offers everything that every single visitor might want. Overall, we felt like we got more than our money’s worth! At the very least, we recommend checking out the free trial so that you can form your own opinion. Good luck learning guitar!